For those who lived in a world before automatic garage door openers, the garage door was a scary entity. Often controlled manually, and with the use of a weapon-like torsion spring, heavy wooden doors could slam down in an instant, and woe to the person or pet in its way. Fortunately, today’s automatic garage door technology includes a range of safety features to keep you and your home or business occupants safe. Even so, accidents can happen so paying attention to a handful of basic safety rules is the best way to make sure your garage remains an accident-free zone. Use licensed professionals for installation. 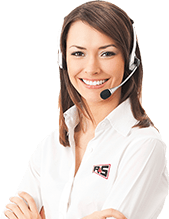 Yes, R&S is a garage door company, so we admit we have a vested interest in this one. Even so, we stand by the fact that using licensed professionals to install your automatic garage door will go a long way towards preventing accidents. The garage door is the largest moving object in most homes, and it weighs hundreds of pounds. If it’s installed improperly, it can come crashing down with hundreds of pounds of force. While we recommend learning some DIY garage door maintenance tips, make sure you hire a licensed professional for bigger-ticket maintenance items for added safety. Observe routine maintenance requirements. Your garage door is opened and closed on a daily basis, often more than once a day. Don’t ignore the hard work it does. Reward it by paying attention to the recommended maintenance list provided in the manufacturer’s manual. When the tracks, door and moving parts are kept clean, lubricated and repaired/replaced as needed, you’re much less likely to experience an accident. 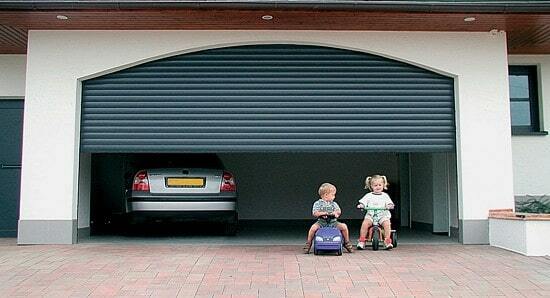 –Teach children that garage doors are not toys. –Maintain the rule that children should not play directly under or around the garage door opener. –If they use the opener, insist that they stay well clear of the door while it’s in motion. –Never, ever play “beat the door,” under any circumstances. –Make sure children keep their hands and fingers free of the track, joints, hinges, springs and other door parts. Conduct monthly reversal tests. This is especially true for those who have younger children or beloved pets. The reversal feature is one that ensures the garage door stops and opens again if it makes contact with anything on its way down. Every month, test the feature by placing a 2×4 on the ground where the door makes contact with the floor. If the feature is working, the door should immediately stop and open back up when it hits the wood. If it doesn’t, contact your garage door company and have them check it out. It needs to be repaired or replaced. Conduct visual inspections. Every month or so, take a good, hard look at the garage door and its parts. Does anything look odd? Are there any parts that look loose, saggy or out of place? Is the door lopsided or opening/closing in a stop-start matter. Does it “act up” from time to time? Does the door make unusual sounds? None of these should be taken lightly. If you suspect something is wrong, contact the professionals to take a look so the door can be repaired or replaced before something more serious goes wrong. If your automatic garage doors is professionally installed and maintained according to the manufacturer’s instructions, odds are your family will never become one of the statistics.